Subscribe to the latest news from the Nordic Labour Journal by e-mail. The newsletter is issued 9 times a year. Subscription is free of charge. The Nordic countries use Supported Employment for getting vulnerable groups into the labour market in very different ways. A growing number of studies show the method gives better results than traditional measures. Supported Employment is an umbrella term for various measures that focus on the personal support provided to both employees and employers. The method was introduced in the USA in the 1980s and arrived in the Nordic countries in the early 1990s. It aims to train and develop a person’s working skills in the workplace where the intended job exists. The strategy is often called “place then train” as opposed to the traditional “train then place”. Supported Employment, or SE for short, uses the individual’s working skills as a starting point and then tries to find a suitable job. The matching between the jobseeker and the job is therefore crucial. “It is like the priming work you do before painting a wall. 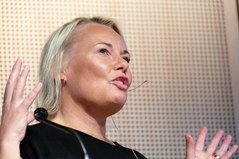 If it is performed badly, or if you have chosen the wrong colour, it will stay with you throughout the entire process,” as Johanna Gustafsson from the Örebro university told one of the many seminars held during the 2018 INKO conference. The situation in the different countries can be crudely summed up like this: Sweden has the largest projects, Norway has come the furthest with the education while the term Supported Employment is nearly unknown in Denmark – despite the fact there are a few projects running in some municipalities. In Finland an upcoming welfare and province reform has overshadowed all other debate, and in Iceland the method is being used in the capital only. “It is now 25 years since I went to Sweden and taught the method to the first job coaches there,” said Grete Wangen from the Oslo Metropolitan university. She is also the leader of SENO, Supported Employment Norge. As early as in 1992, the Norwegian employment service began a three year long trial called Arbeid med bistand (Jobs with support), which was inspired by Supported Employment. This was later made a permanent measure within the employment service, mainly in social enterprises. In Sweden a similar yet considerably more comprehensive project was established, called SIUS, Särskilt introduktions- och uppföljningsstöd (Special introduction and follow-up support). 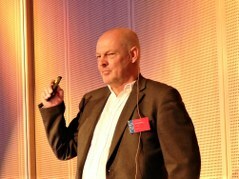 “The last time I checked, there were 927 SIUS consultants within the employment service, and if you add just over 1,000 working in the municipalities there are 2,000 consultants working with Supported Employment,” said Bertil Johansson, who has been involved from the very beginning and who now heads the Swedish organisation, SFSE. He and other conference participants underlined that there are many variations of Supported Employment. Not all have it as a goal to create salaried jobs, and some are more focused of the training. Sometimes there is also a need for more – there are programmes for Supported Living and Supported Leisure. Since the form varies and the projects are often not permanent measures but limited in time, there have been few scientific evaluations of the projects. “There is also the risk that the method is being tailored to the organisation and not the other way around. But we cannot simply blame the system. This is also about our belief in the individual. Are we really working with those who need SE, or are we using resources on those who would manage on their own?” said Bertil Johansson. After the first wave of enthusiasm in the 1990s, the expansion slowed down in the 2000s. 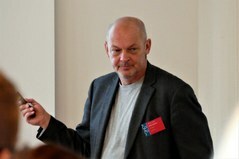 Øystein Spjelkavik from the Oslo Work Research Institute headed the first Nordic study of Supported Employment in 2011. “When we carried out the study back then, it was difficult to find a single researcher who focused on SE. Those who were involved practically and who had set up associations were full of enthusiasm, but they had no political contacts,” said Øystein Spjelkavik. Today both Sweden and Norway offer courses in Supported Employment. There is also an international standard, the so-called Fidelity scale, for how to execute the programme. It grades 14 different areas from one to five according to how close a project sticks to the original model. In Sweden and Finland, Supported Employment is often combined with wage subsidies in order to motivate employers to hire more people, while this is less common in Norway. Supported Employment was originally developed to help people with psychological problems or physical handicaps. At the time, the idea that these people might manage in ordinary working life was alien to many. “Despite the fact that 50 to 75 percent of people who have some sort of diagnosis want to work, in Norway only ten percent of them do. In general, employers have been reluctant to hire people with chronic illnesses. Until recently there was little focus on work for this group of people, neither in the health service nor in the employment service. Many faced near automatic early retirement, says professor in psychiatry Erik Falkum. He headed one of the first scientifically assessed SE projects in Norway. “When we launched Jobbmestrende oppfølgning for personer med psykoselidelser, JMO, (The Job Management Program, JUMP) in 2007, people working with individuals who had a psychiatric diagnosis believed they were too vulnerable to work. The result of JMO was, however, remarkable: 77% of the participants in the six months long project got some kind of employment. 9% got an ordinary job, while 37% got work placements and 31% got sheltered work. But Supported Employment has also been applied to other groups, like refugees and youths. A fresh Swedish evaluation assessed one Supported Employment project looking at youths who have been offered a work compensation scheme because of their reduced working capacity. More than 80% of those who had recently been offered work compensation schemes had a psychiatric diagnosis. In Sweden, this amounts to 30,000 people, at an annual cost of 3.75 billion kronor (€359m). In 2016, just 5% of these ended up in work and 3% in education. A group of 1,063 people were randomly divided into three different action programmes. Supported Employment was the one that yielded the best results. After 15 months, 26% had found work. The figures for the other programmes were 20% and 18% respectively. SE was the most economical solution, even when the need for more staff was taken into account. With results like this, Supported Employment should have a bright future? Yes, but there is still the worry that authorities will use the method only for groups which will yield the best results. “It is for instance common for authorities to demand that participants must be motivated. That means you lose a large group from the start. The risk is that the group Supported Employment was developed for, people with more complex needs for support like psychological, cognitive and social problems, will be side-lined when the authorities do their cherry picking,” said Øystein Spjelkavik. The picture above shows left to right Ingibjörg M. Ísaksóttir Hallgrímsson, Iceland; Johanne Bengtsson, Denmark; Grete Wangen, Norway; Bertil Johansson, Sweden and Kaija Ray, Finland, discussing Supported Employment. Moderator Victoria Ibabao Edwards is facing away from the camera. INKO is short for “inkluderingskompetanse" (Inclusion competence). 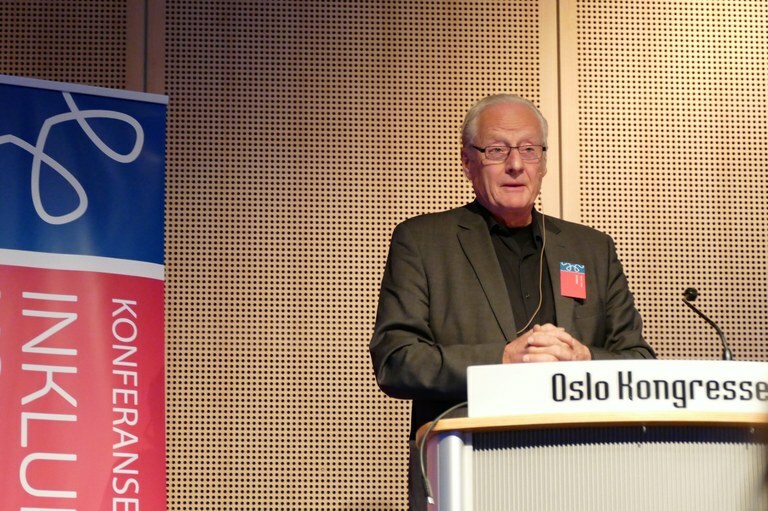 The conference was organised by KAI - Centre for Work Inclusion at the Oslo Metropolitan University, in cooperation with Network for workplace inclusion, NAV – the Norwegian Labour and Welfare Administration and the Nordic member organisations in the European Union of Supported Employment (EUSE). A new attitude to who might participate in the labour market?